The holiday social season is in full swing, and as my Doll Alexia H.W. says, “You always need a gown at the ready, you never know when a gala will break out!” It’s true you know! Between now and the new year, evenings and weekends will be filled with holiday brunches, luncheons, parties and galas. 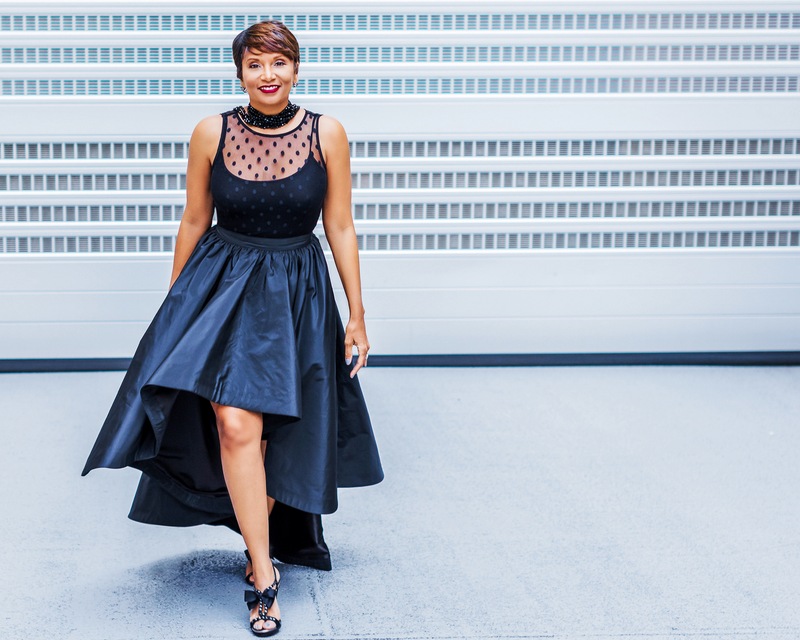 The challenge is that the same friends, colleagues and family tend to be on the party circuit, meaning once you wear a frock, it immediately is taken out of rotation. What’s a Doll to do? 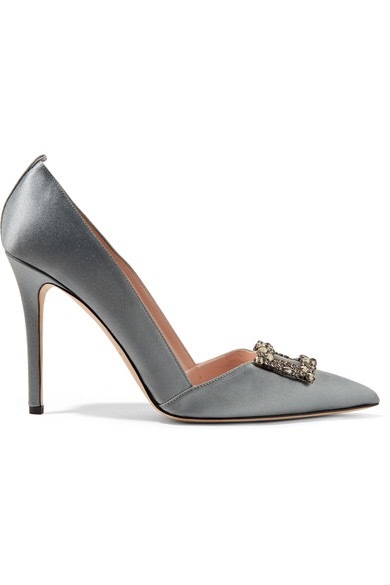 There are a few online shops that have beautiful pieces; but I particularly love Net-a-Porter for dresses, bags and shoes! Below are a few items I am particularly loving this season. And even better, they are having a 50% sale right now! Happy shopping! Image: Me in my favorite holiday frock! I have been obsessing over jumpsuits this season. 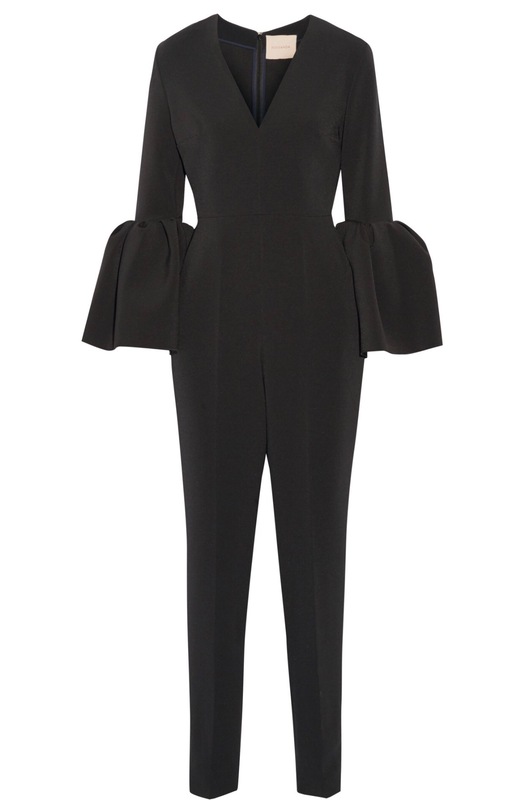 While not appropriate for every soiree, this Roksanda Margo black crepe jumpsuit, with bell sleeves is perfect for an evening cocktail party. 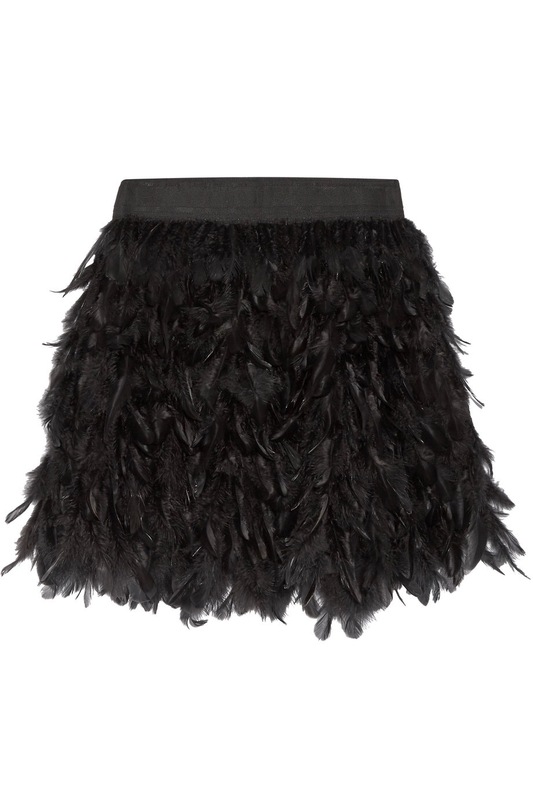 This flirty little Alice + Olivia Cina feathered mini-skirt is also party perfect! 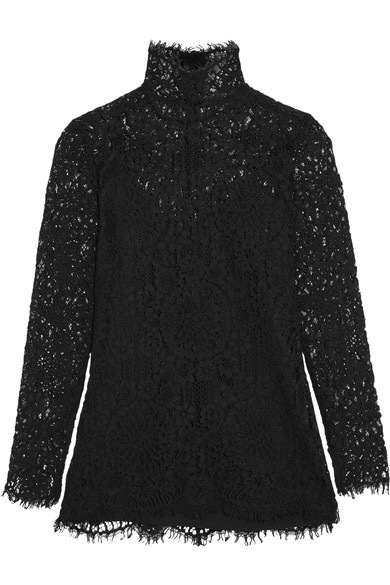 I’ve also been doing a lot of lace – so classic and appropriate for a holiday gala. 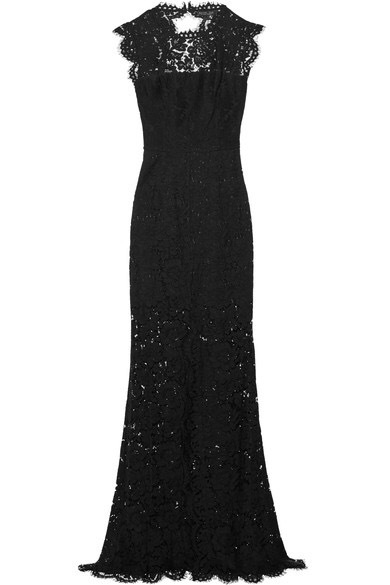 Loving the Estelle open-back lace gown by Rachel Zoe. Need some color in your life? Holidays equal red. 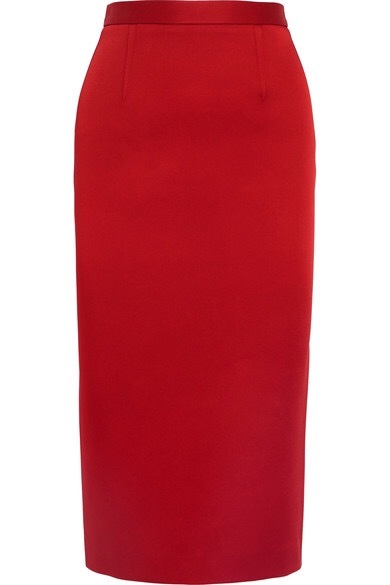 Pair this Roland Mouret red satin pencil skirt with a beautiful Malene Birger Solar guipure lace top. 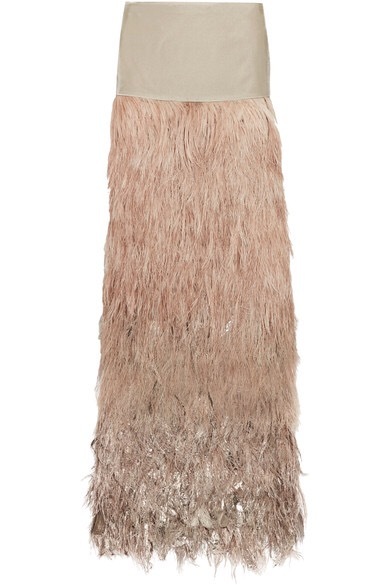 For the ultimate splurge, ring in the new year in this Tom Ford Velvet and tiered ombré feather maxi skirt. This number brings on a full-on swoon! And for some shoes and bags I’m crushing on for the holidays, how about these Sophia Webster Maya bow-embellished suede sandals! SJP has been killing the shoes game since channeling Carrie Bradshaw taking on NYC in her Blahnik’s. She’s now owning the shoe game in her own right with her eponymous line. 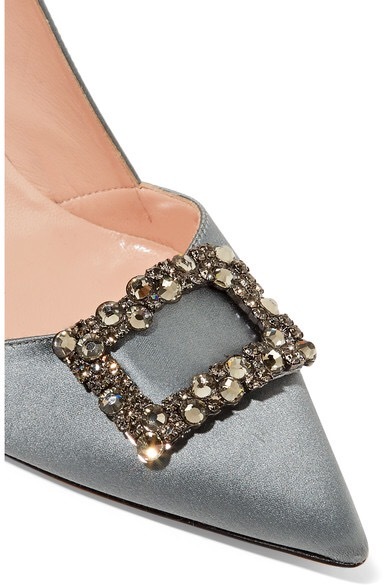 These gorgeous Windsor crystal-embellished satin pumps scream holidays! I did an earlier post on Edie Parker clutches. Her personalized Trunk Clutch adds a touch of whimsy to any holiday ensemble. What will you be rocking for the holidays?